As “Ding Dong” seems to be silent of late, thought I would write you a few items from this place. We are having pleasant weather and welcome it too. Mrs. Brooke Adkins has returned to her school at Leet after a week’s absence. Ervin Workman attended the burial of Melve Kirk of Piney last Sunday. A number of our young men attended a very interesting meeting at Big Creek, Logan county on last Sunday. A large quantity of ties are being shipped from this place. Miss Dollie Toney closed a successful term of school at Big Creek on last Thursday. Miss Lottie Lucas spent last week the guest of friends on Big Creek. Mr. D.C. Fry returned home last Saturday from a business trip down the G.V. Railroad. Some of our farmers say they are not going to try and raise tobacco this year, as they had hard luck with their crops last year. Mr. and Mrs. Jas. Brumfield and Mrs. B.B. Lucas visited the latter’s sister Sunday. Miss Delia Adkins spent Saturday night at her grandpa’s near Ferrellsburg. Little Edna Brumfield was visiting Maggie Lucas Sunday. Mr. Kirk had heard a lot about Milt Haley’s trouble with the Brumfields. His version of events, along with that of Roxie Mullins, Bob Adkins and the Goldenseal article, comprised the bulk of what I knew of Milt’s death. The whole trouble had nothing to do with John Runyon, as we’d previously heard. That was an interesting new development in the story, I thought. I mean, maybe Al Brumfield wasn’t completely innocent in the trouble. And maybe Milt was, in the eyes of at least some locals, justified in ambushing him. Now where did this shooting take place? Mr. Kirk said Al was shot in the arm and fell from his horse, while his wife was shot in the face. Once Milt and Green were captured in Kentucky, a lynch mob formed in Harts consisting of Hugh Dingess (Hollena’s brother), French Bryant and several Brumfields. They joined up with Victor Shelton, a local lawman. After taking possession of Milt and Green, the mob re-crossed the Tug River at the present-day town of Kermit in Mingo County and went up Jenny’s Creek (or possibly Marrowbone Creek) to Twelve Pole Creek. They entered Harts Creek at the head of Henderson Branch and made their way to Hugh Dingess’ home on Smoke House. At that location, they ate a big meal and spent the night. The next day, they headed up Bill’s Branch and crossed a mountain onto Piney Creek. They rode down Piney to the West Fork (just above Iris Williams’ home), went a short distance up Workman Fork, turned up Frank Fleming Hollow and dropped down off of the ridge to a home near the Guyandotte River. (Mr. Kirk was very adamant about this home being on the west side of the river, not at the mouth of Green Shoal where Bob Adkins had said.) By that time, “Dealer Dave” Dingess, Charley Brumfield, Burl Farley, Will Adkins and “Black John” Adkins had joined the gang. 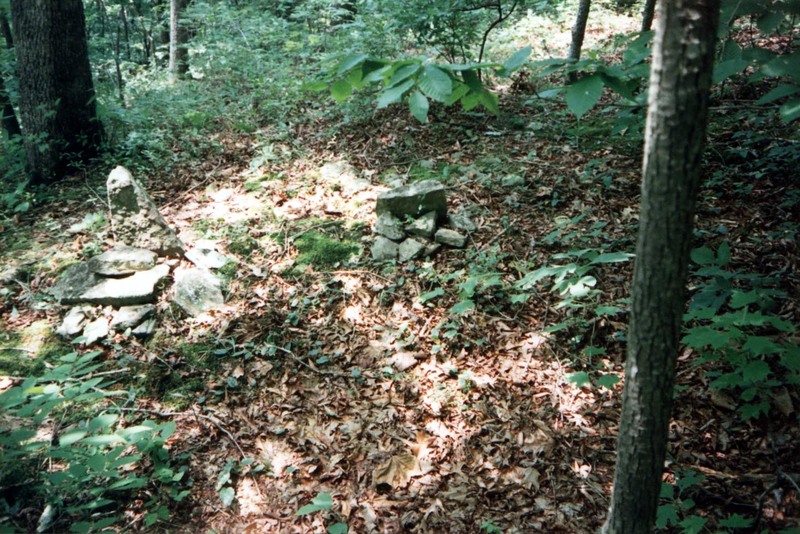 Mr. Kirk said French Bryant supposedly killed Milt and Green, although he’d also heard that Burl Farley, a timber boss from Harts Creek who was connected to the Dingess family, “gave the order” to shoot them. There was a lot of confusion over the murders. Word was spread through the community that Haley and McCoy were killed by a mob who’d taken them from the Brumfield posse. Mr. Kirk dismissed that notion, saying, “The ones who got them in Kentucky were the ones who killed them.” He was certainly a good source for that statement considering his family connection to the Brumfields. Lawrence and I hung onto Mr. Kirk’s every word as he described Milt Haley’s burial, which he said occurred the day following the murders. Mr. Kirk turned our attention toward a mountain across the creek. He wasn’t sure why they chose to bury them in a single grave.